Red Truck by Kersten Hamilton - My little guy loves trucks, so this book is a favorite. It's a tow truck that has to help out a school bus and he goes through snow, up hills and through mud, which my son just loves. 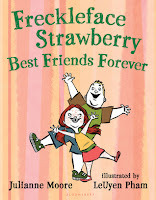 Freckleface Strawberry: Best Friends Forever by Julianne Moore - We received this book as a gift and I wasn't sure how i would feel about Julianne Moore being an author, but it's a great story about friendship. I love that it highlights how even though they are different, they can still be friends because they have things in common. 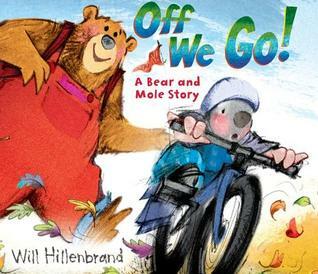 Off We Go by Will Hillenbrand - This is a great read aloud and my little guy loves the illustrations. It's about learning how to ride your bike with training wheels and never giving up! Construction by Sally Sutton - My son is obsessed with all things construction, so he really enjoys this story. It's all about making a library (which I love!) and it shows all the various steps of building a new building. There's a lot of onomatopoeia in this book, which is a lot of fun. Beach House by Deanna Caswell - This is actually one of my favorite books that my son owns. It captures the excitement of summer and going on vacation to the beach. 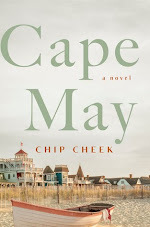 It focuses on the simple joys of summer: building sandcastles, the ocean, spending time with your family. I love it. Bear Snores On by Karma Wilson - My son has a few of the "bear" stories by Karma Wilson and they are adorable. My little guy has been really fascinated by animals as of late and this story focuses on various animals going inside the bear's cave to warm up while Bear is sleeping. If I Had a Triceratops by George O'Connor - Dinosaurs are a new favorite in my house and this book is all about a little boy who imagines having a triceratops for a pet. It's adorable and now my son is convinced he should own one. Dylan's Amazing Dinosaurs: Stegosaurus by E.T. 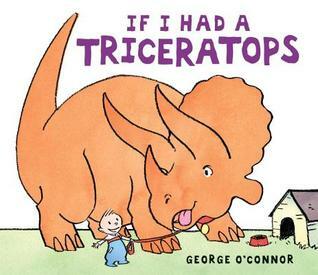 Harper - What initially atrtraced me to this book was the fact that it has his name in it and it's about dinosaurs - a win, win situation. 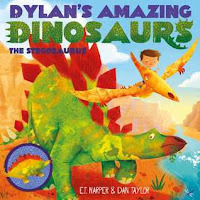 But then I saw that the book comes with a stegosaurus and my son loves acting out the story with his dinosaur as I read it. It's a blast! 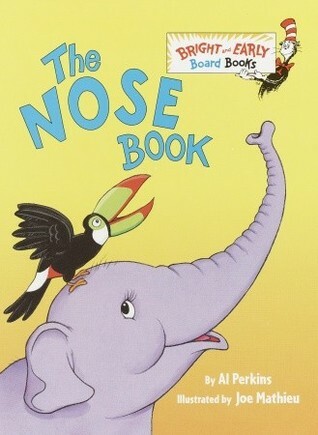 The Nose Book by Al Perkins - This is an older book, but my little guy loves it. Most toddlers are into animals and this book highlights the different types of noses that animals have and of course, human noses too. Skip Through the Seasons by Stella Blackstone - This book is a great book to share with your child when teaching about the seasons and the months of the year. 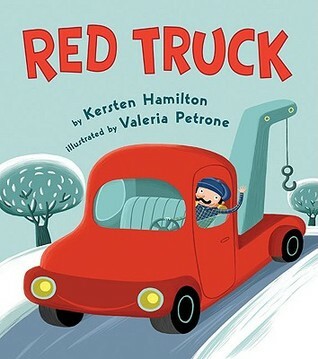 I also love that it's a seek and find book, so we can look for the various items listed on each page, such as, find the snowman, the dog, the bus, etc. It is definitely a book that will grow with him. 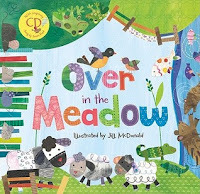 Over in the Meadow by Susan Reed - I love that this book makes counting fun. It also includes a lot of rhyming and is very musical. 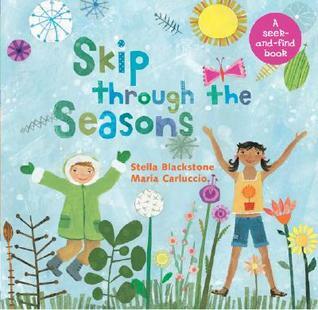 A CD comes with the book and my son loves to listen to the song and follow along with the book. It's a favorite; plus, the book teaches children all about the animals that live in a meadow. Let me know what you guys think! Do you have any children's book recommendations for me? Let me know in the comments below. 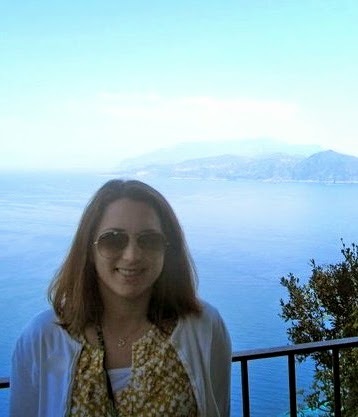 Oh, my gosh; these all look so cute, Christina! Your son is so fortunate to have a mother who loves books and passes on that passion to him. 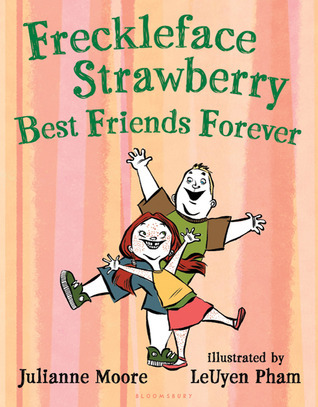 Red Truck and Freckleface Strawberry look so cute, as does Skip Through the Seasons; I'll have to pass these recommendations along to some friends. Thanks for sharing these! Thanks, Tara! I appreciate the kind thoughts. Thanks for visiting and I hope you have a great weekend! With my granddaughter already showing a love of books at 11 months old I will need to build up my children's books again. I did save a bunch from my kids but some of these new ones are so so cute. Yes! I have a lot of older books on our bookshelves, but I have recently been buying some new kid's books and they are too cute. Thanks for visiting!